Description:- ﻿With one of the widest ranges of sugar free and diabetic sweets in the UK, Sweet Junkie are dedicated to providing the very best of British confectionery. Choose from a great selection tailored to suit all tastes. We’re always on the lookout for new additions so, if you have any suggestions, please let us know. Our products are packed to the highest standards and are perfect as a gift. 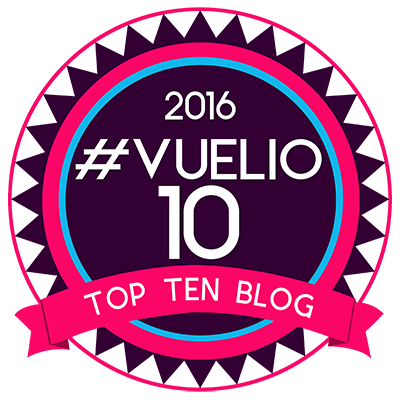 You can keep up to date by reading our retro sweets blog. Review:- I have an extremely sweet tooth, especially for boiling sweets so when the chance came up to review some sugar free sweets from Sweet Junkie I jumped at the chance. I got a selection of sweets to try through the post. I was so surprised by these that I kept some for others to try. Having grown up with a mother who owns a health food shop I tried my fair share of “healthy” sugar free sweets. They were disgusting. Each one had a plastic texture and very little flavour. The mints were actually like eating a piece of plastic. 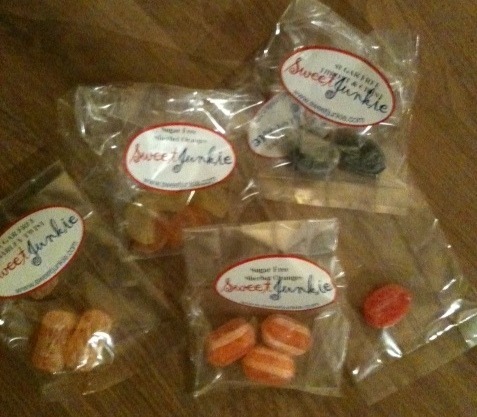 Thankfully Sweet Junkie’s sugar free sweets have blown my concepts of sugar free sweets out of the water. They were amazing, no plastic texture, full of mouth watering flavour and were like the full sugar version. Everyone I let try these could not tell they were sugar free. Honestly, they are the perfect substitute. I got to try Barley Sugar, which was nice but I’m not a huge fan. Sherbet Oranges, were yummy, they were identical to the real thing, including the fizzing on your tongue. I love Rubarb and Custard sweets, so these were bound to test my taste buds and they past with flying colours. There were also some orange and lemon sherbet slices, these were my least favourite. Not because of the flavour but they were quite small. My favourites were the throat and chest sweets, strange I know but they were lovely. The real aniseed flavour coming through. I am a convert to sugar free sweets from Sweet Junkie. I would highly recommend these to everyone, these are delicious. Check out these little guys for the kiddies. 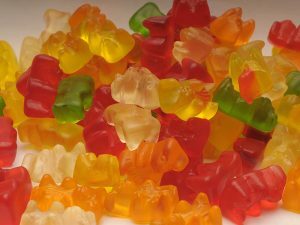 These are sugar free gummy bears. Much better as a treat for your little ones. These will be on my next order to Sweet Junkie. Why not check out Sweet Junkie’s website for these fantastic sugar free sweets and treat yourself to something else for their vast selection, I know I will be.